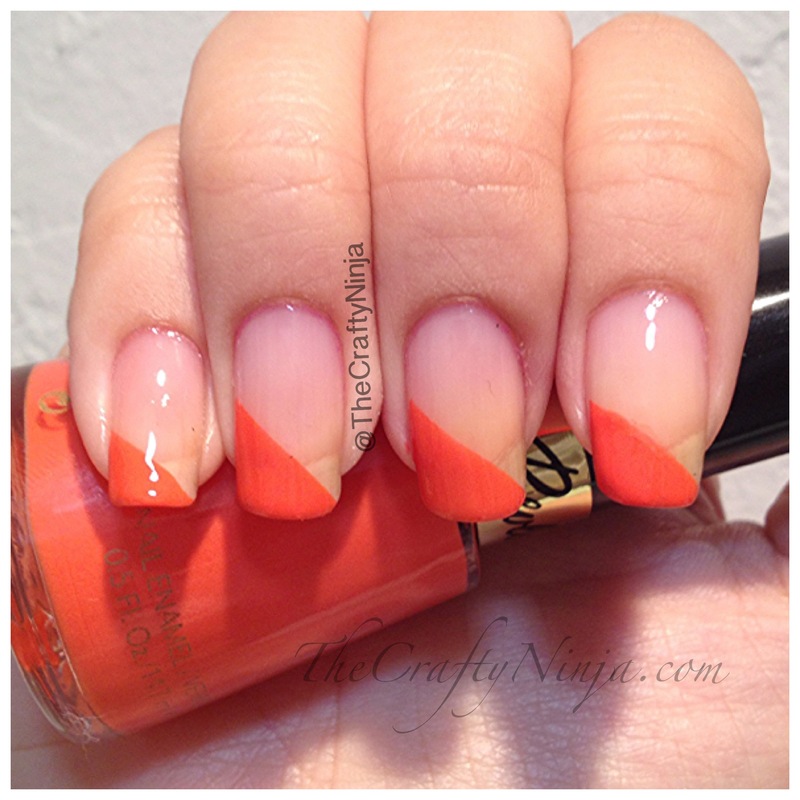 Today’s nail art is simple and unique. 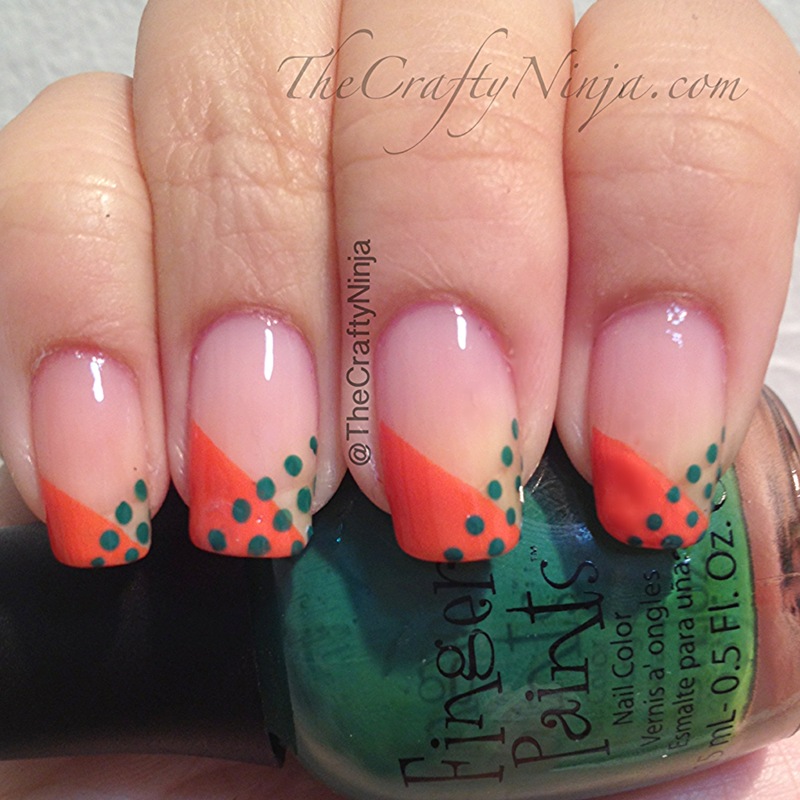 I wanted to contrast solid and dots to create this interesting nail tips. I’m in love with the color orange, reminds me of the pretty fall colors. 1. 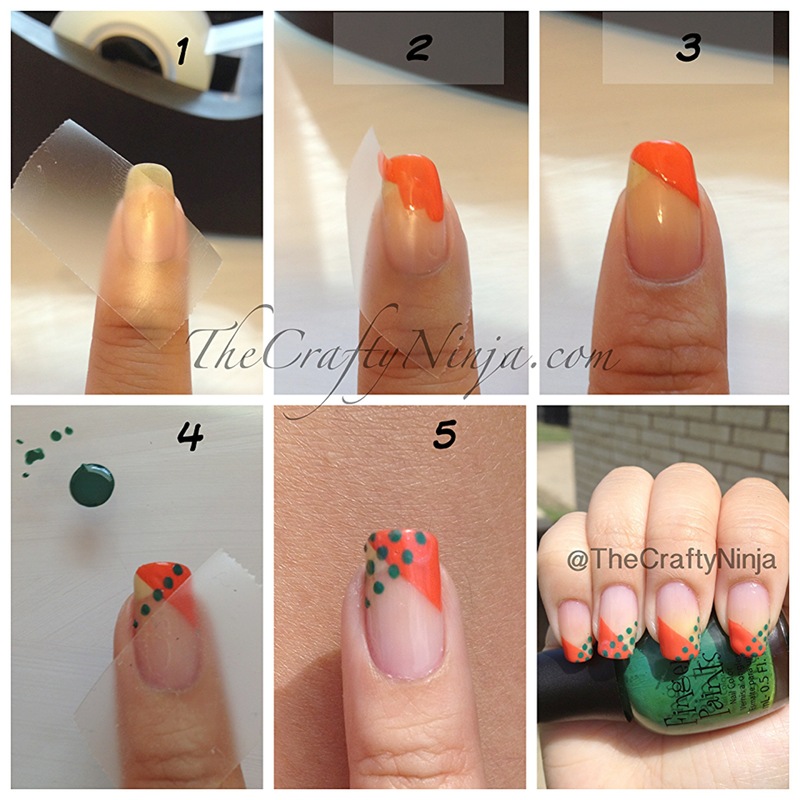 To create this nail design use scotch tape and tape off a diagonal. 2. Paint the tip, I used Revlon Siren. 3. Carefully pull off the tape. 4. Once the nail polish is completely dry, I tape the other direction using a diagonal, this is going to be my guild to create a straight row of dots. I use my nail dotting tool to create the dots with Finger Paints Go Van Gogh! 5. Continue adding the rows of dots.